As took I the stage at the Smart Cities Week 2016 conference in Washington, D.C., this week, it was clear that the topic of microgrids was of huge interest to Smart Cities attendees. I shared the stage with Heather Rosentrater, vice president of energy delivery at Avista Corporation, and David Chiesa, senior director of business development at S&C Electric. In my remarks, I shared that microgrids are small, local energy grids that can be disconnected from the larger utility grid and operate independently. And that it is this capability that makes microgrids one of the largest applications increasing the adoption of IoT for smart cities. Highly instrumented microgrids can strengthen grid resilience and help minimize outages in the larger utility grid. 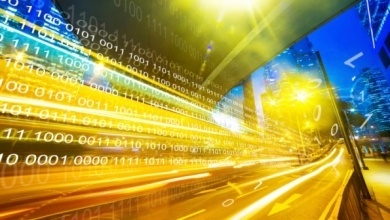 Microgrids are designed to enable two-way power flow and two-way dataflow that require pervasive instrumentation and connectivity on just about every device within it. Microgrids are usually powered by multiple technologies that include solar PVs, natural gas CHP engines, diesel generators, fuel cells, and batteries. And they require connectivity, sensors, energy management software, device management software, and analytics and machine learning software for optimization. Microgrids are being deployed for many reasons by multiple end users across the nation. The most common reasons are high reliability, asset security, emission reductions, and cost reduction. End user types include remote communities, islands, universities, research labs, small neighborhoods, cities, government institutions, military bases, and commercial buildings. The growth of microgrids has reached more than 1.2 gigawatts today, and it is looking to reach more than 20 gigawatts by 2020 according to multiple analysts. The East Coast in the U.S. seems to have the fastest adoption so far. States like Vermont, Maryland, Massachusetts, Connecticut, New York, and New Jersey have seen very rapid growth in the last five years and are looking to accelerate from here on out. I also see great numbers of players, more than 100 hundred today, with all kinds of solutions that include things like control and energy management software, modeling and feasibility analysis tools, building energy management systems, home energy management systems, switching gear, protection gear, inverters, grid interconnectors, batteries and energy storage, storage management systems, communications networks, power meters, microprocessors, sensors, and gateways, to name a few. It is a great opportunity that should exceed 100 gigawatts by 2030. What do you think? Are you aware of microgrids? Are you a customer of one? Can you share your thoughts?